The Ontario government has announced a 20 per cent reduction in workplace injury rate over the last four years. This good news was followed by the launch of a new four-year plan dubbed, Safe at Work Ontario, which outlines a new strategy for conducting workplace safety inspections based on the following criteria: injury rates and associate costs; a company’s compliance history; and the presence of young workers. Governments and industry have been actively campaigning to promote prevention and significantly reduce workplace injuries across the country, with a goal of achieving zero workplace injury. The 20 per cent injury rate reduction translates to over 50,000 incidents avoided according to the Ontario Ministry of Labour. This means 50,000 workers and their families won’t have to go through the physical, psychological and financial burden caused by an injury or illness. It’s a significant gain towards prevention efforts, but what about the other 200,000 or so workers who were not among those 50,000 saved? The focus on prevention by the government, industry associations and individual organizations is commendable and should be continuously improved and perfected. But what happens when prevention fails? What’s the backup plan? I’m usually not a pessimist, but the reality is that people make mistakes, judgment calls are sometimes a spur of the moment, and accidents do happen. And when they do, injured workers need to feel that they are still part of a system that works for both employers and employees. While it’s important to emphasize the benefits of a safer workplace to the company’s bottom line, the country’s economy and health care system, the human element is still the most important aspect of injury prevention — isn’t it? It’s not just about economic productivity and alleviating the burden on the country’s health care, is it? Our last issue’s cover story on the challenges faced by injured workers in trying to reintegrate into the workforce after recovering from an injury (and in some cases, while still recovering) delved into some of the areas that clearly needs to be revisited to improve the process of helping injured workers get back on their feet and on the job. Toronto-based Institute for Work and Health recommends having an effective disability management and return-to-work program can help reduce or control the severity of injury or reduce workers’ compensation claims. Such program will define and implement the process involved in helping a worker on his or her path to recovery and back to the workplace. A return-to-work program, however, should take into consideration inputs from those involved with the worker’s recovery, such as the health care provider and the injured workers themselves, to ensure that the worker is physically and mentally ready to reintegrate into the workplace. The story of safety begins with prevention, but unfortunately, it does not end there. Let’s focus on prevention, but let’s not leave behind those for whom prevention has failed. 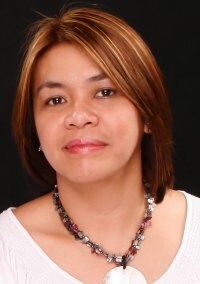 Mari-Len De Guzman is the editor of Canadian Occupational Safety magazine. You can reach her at mdeguzman@clbmedia.ca.